What Is An Ingrown Toenail? The most common nail impairment, ingrown toenails, are nails whose edges have grown down and into the skin of the toe. The most commonly affected toe is the big toe. The most common causes of ingrown toenails are either improperly trimmed toenails or improperly fitting shoes that cause too much pressure on the toes. Heredity is a cause in cases where the foot or toes are deformed. Stubbing the toe or a tearing at the nail’s corners can also be causes. Ingrown toenails are characterized by redness, swelling, and pain. If any of these symptoms are excessive or if there is drainage, it’s time to contact Dr. Burmeister. Diabetics and persons with poor circulation or nerve issues in the leg or foot should seek medical treatment at the first sign of an ingrown toenail. Dr. Burmeister will be able to confirm a diagnosis of ingrown toenails by observation. Under most circumstances, tests and/or x-rays are not necessary. Treatment for an ingrown toenail is determined by the severity of the diagnosis. Do-it-yourself treatments are rarely appropriate and can lead to complications. For the least severe of cases, Dr. Burmeister may remove the ingrown portion of the nail, prescribe medication, and give you instructions for home care. In the most severe of cases, Dr. Burmeister may perform a procedure in which the corner of the ingrown nail and its matrix or root are removed. 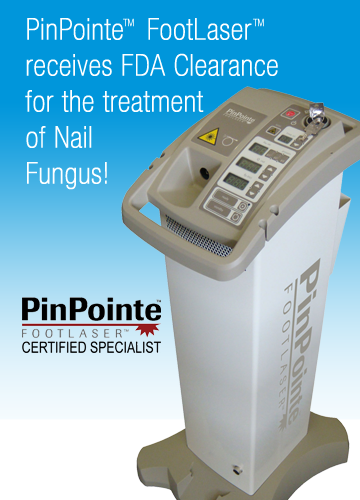 This permanently prevents reoccurrence of an ingrown toenail at that site. There are a number of measures that can be taken to reduce the likelihood of ingrown toenails happening in the first place. If you experience an ingrown toenail, Dr. Jeffrey Burmeister, DPM, and his experienced staff are ready to fully diagnose, treat, and see you on your way to pain-free living. Schedule an appointment by completing an online appointment request at www.jacksonvillefootandlaser.com/contact.html or by calling (904) 765-8889.